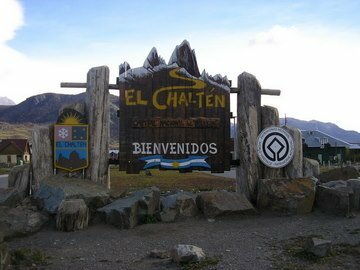 Before 1985 El Chalten did not exist. 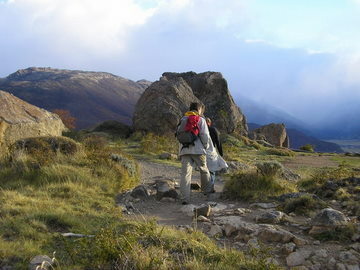 To reach the northern side of Parque Nacional Los Glaciares you had to be an intrepid trekker. 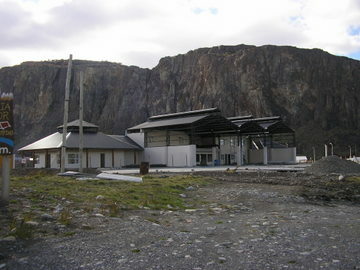 But it was international politics, not tourism, that is responsible for El Chalten. 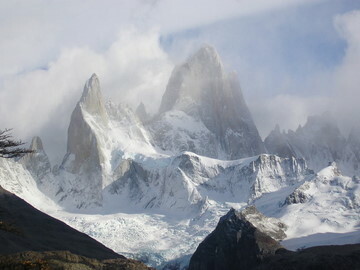 The long festering border dispute between Argentina and Chile threatened war and Argentine sovereignty over this region that had already been included in Parque Nacional Los Glaciares since 1943. 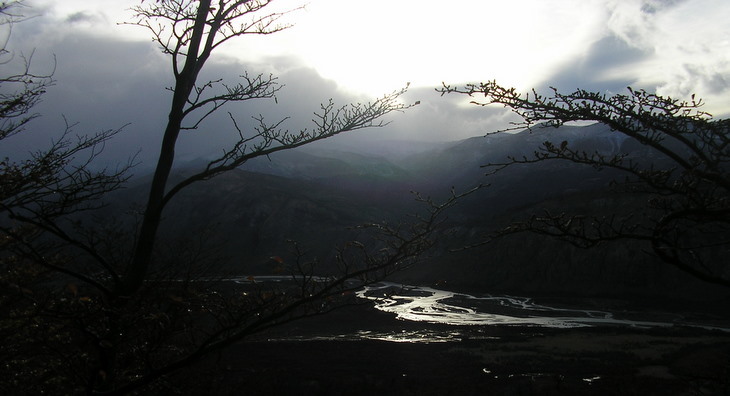 To solidify their claim, the Argentine government established El Chalten in the remote yet picturesque Rio de las Vueltas river valley within the Park. A couple hundred residents were housed in hastily built rustic buildings. Within months, the Treaty of Peace and Friendship between the two nations established the original Park boundaries as the border for this region. 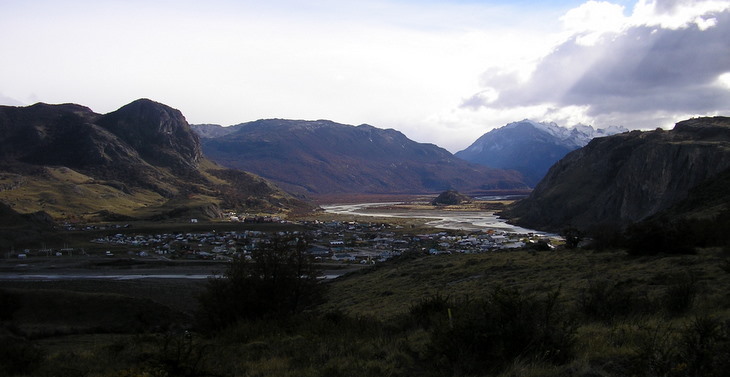 Today El Chalten is recognized as the trekking capital of Argentina, but it is no El Calafate and many find that to be its charm. There is no entrance fee to the northern end of the park at El Chalten for the superb trekking and day hikes to observe Cerro Torre or Monte FitzRoy with their lakes and many natural attractions. 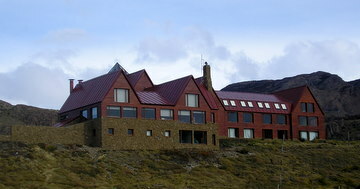 You can make a day excursion from El Calafate to El Chalten but it's a 264 mile, 7-hour round-trip bus AR$100 (US$27.50). In summer you have 14 to 15 hours of sunlight, but even in early Autumn that is reduced to 8 hours giving you time for only short hikes. 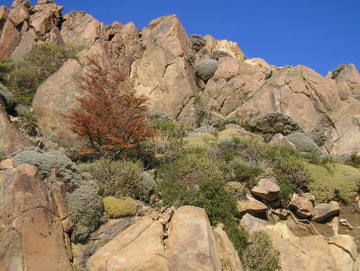 To appreciate the northern end of the park, an overnight or two, at least, in El Chalten is advisable. 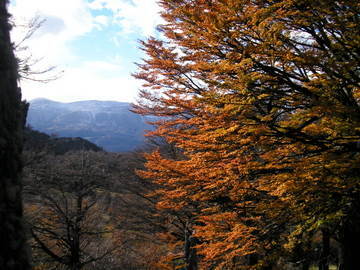 Besides, El Chalten has its own odd charm. 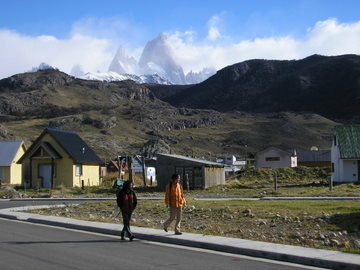 El Chalten’s permanent population is about 1,000 but that number increases considerably in the summer months. Although the sole reason today for its existence is tourism, it is still a rustic frontier town albeit undergoing rapid change. Unfortunately, these changes will most likely make the town resemble El Calafate within the next decade. For now, a visitor can still enjoy the calm and closeness of nature, especially in Autumn. 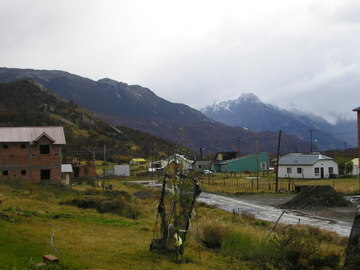 Half of El Chalten’s streets are paved and the other half are, and I’m being generous, rutted mud and gravel. Frequent rain showers in Autumn and Winter create lake-size puddles. I observed the fierce western winds creating white-caps on the puddles - no exaggeration. 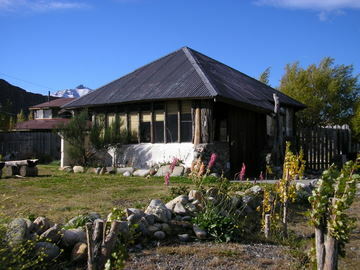 The buildings are a mixture of the simple concrete and metal roofed bungalows so common in small Patagonian towns, hippie A-frames (that obviously did not have to follow any building codes) to some smartly designed villas, inns and restaurants using local woods and rock. There are no supermercados just a few small, and expensive, grocery markets, several shops specializing in serious trekking gear and no Timberland stores! 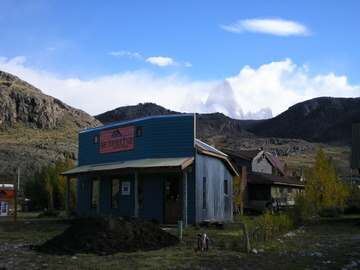 There is a very friendly tourist office as well as a knowledgeable National park office. But construction is everywhere including a new central bus station. Recently the first ATM machine opened next to the tourist office (although there is still no bank) and the first cell-phone tower was constructed but WI-FI is not yet available. There are several internet locations in town that charge AR$3 (US$.82) per 15-minutes. The frontier feel remains, especially given the reality that the average tourist, no matter what age, is carrying a backpack, not Gucci luggage, and hiking boots are a necessity. 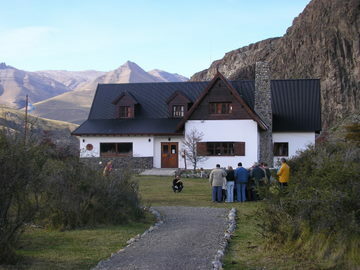 Accommodations, restaurants and nightlife in El Chalten are abundant in the summer and advanced reservations are essential, but off season many establishments close down. In the Autumn (April through June) several nice hostels, a dozen inns and about the same number of restaurants remain open, and that’s enough. 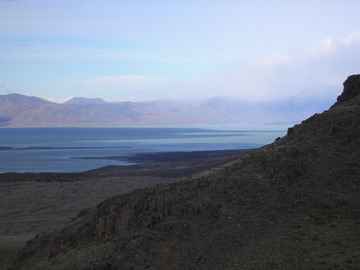 I spent four pleasant days in El Chaltan. I slept at Hosteria Koonek, hung out at Rancho Grande Restaurant and Hostel, ate good meals at Ahonikenk Restaurant and met some great ladies at La Cerveceria Brew Pub and Restaurant.